Welcome……please enjoy my Photography & Adobe Photoshop projects. 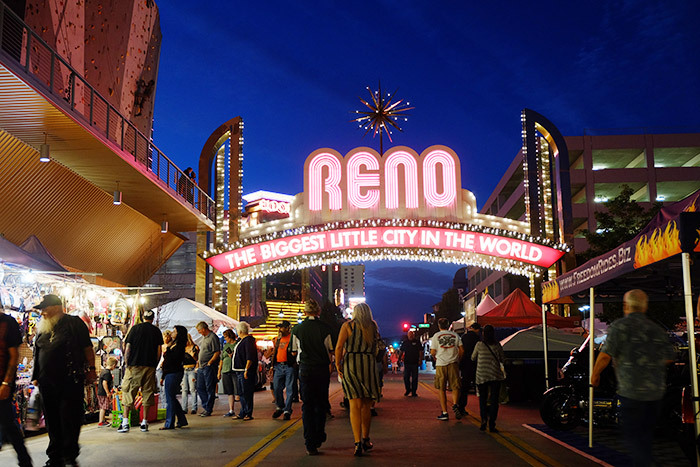 Reno, Nevada is the first City after you cross the border of California and Nevada. I first passed by Reno when I was on Amtrak in 2005. 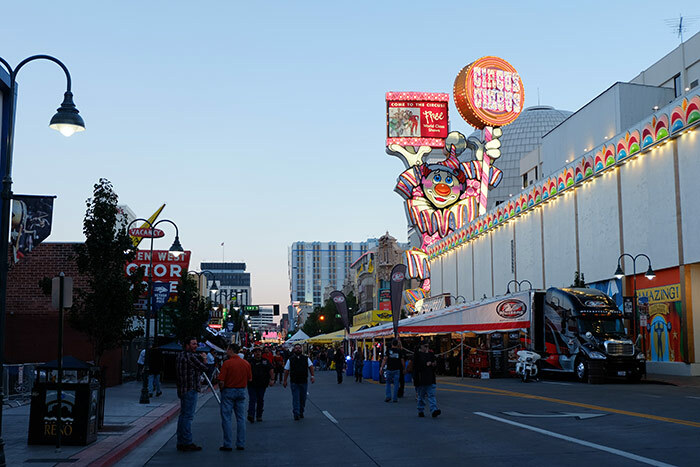 All after the Sierra Nevada, desert and small cowboy towns, Reno was looking totally different… but at the same time, my honest impression was… “Ran down amusement park”. It was my first time to stop by here and first thing I did was look for the train track. 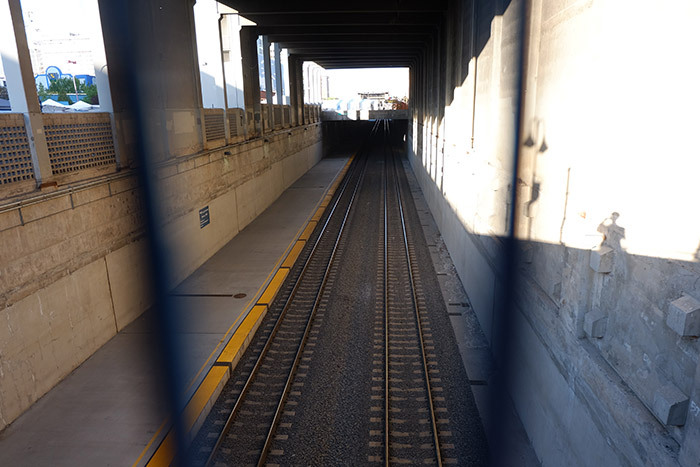 But, I did not find them anywhere.. so, I looked for Amtrak station and found out the train tracks which were running in the middle of city was now underground. 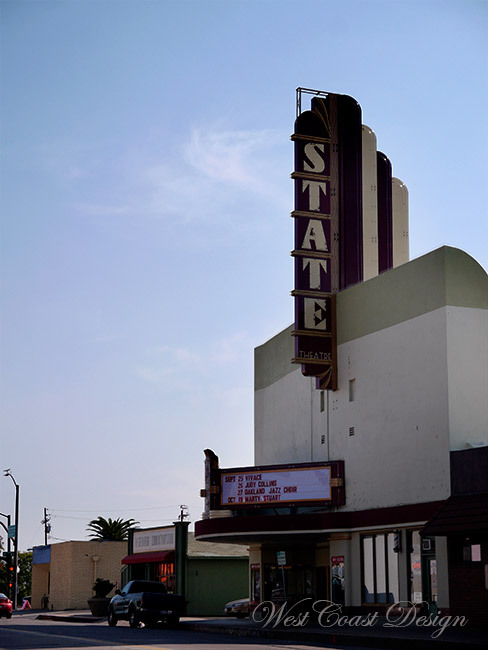 It is a funny city… all they have in town is Casino, Casino and Casino…other things are a bit away from central city. Even Supermarket near downtown had slot machines in its building! 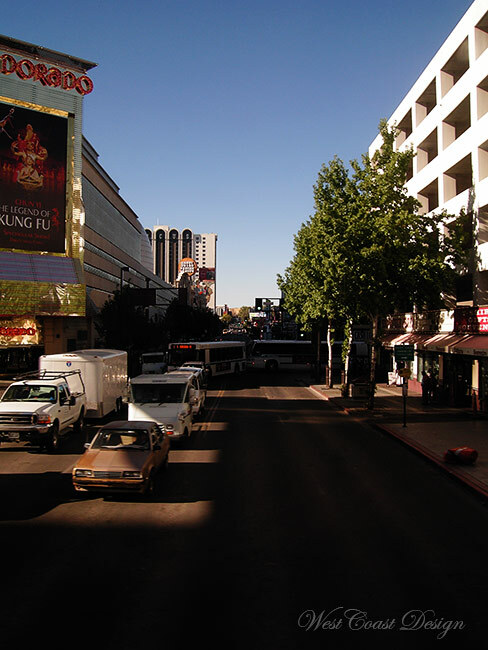 I would say Reno is “Las Vegas for working Class.”. In Las Vegas, everything is fancy and so many milliners are around… at least I don’t feel comfortable there… but here, I felt it was welcome to everyone. To me, I am not interested in gambling at all and did not play anything. 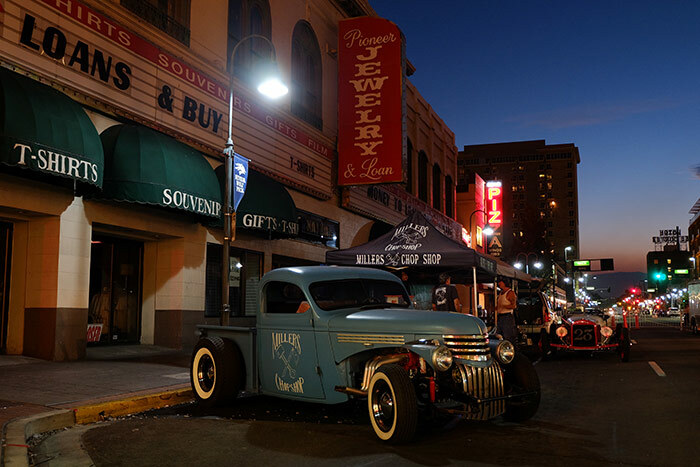 When I was there, they had motorcycle event “Street Vibrations 2014” in the middle of city. No wonder there was so many motorcycle riders on the way here. 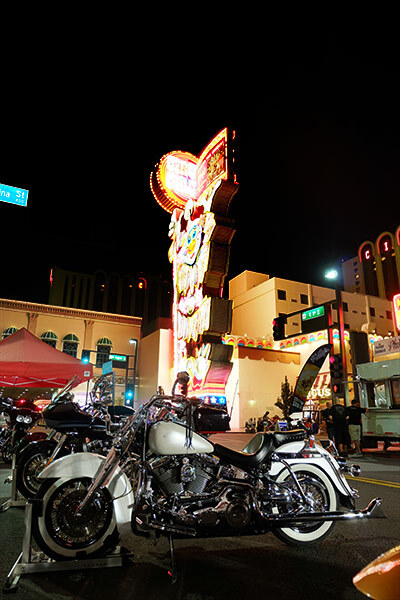 In downtown, there were Harley Davidson everywhere. In North America, when they say Motorcycle event, it means Harley event. Although there are so many Harley, I did not see any classic Harley… why was it? I guess that is because or the change of freeway max-speed. It used to be 55 to 60 mph on freeway and that was the perfect speed for those vintages… but 70 mph is a bit too fast for them to enjoy the “sweet spot” of its engine. That is how, I don’t see any classic Harley in the USA and actually there are more in Tokyo. Also Reno is the Middle of Nowhere. It is surrounded by Sierra Nevada Range and Desert…at least it is better to be newer more reliable bikes. It was such a nice weather since the morning. I just can’t Believe this is same Oregon. 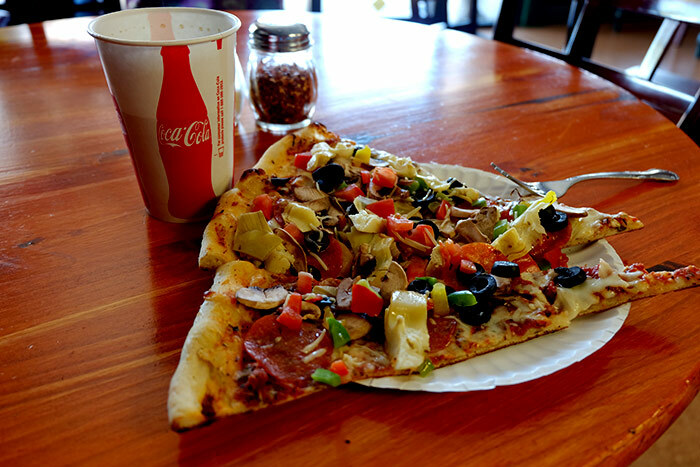 I checked out at 11AM and had lunch in Downtown Medford. Actually… this kind of things are way cheaper in Vancouver. California is not too far… but I just did not see sign of the border which I usually saw at the other borders. As I go south, warmer and warmer it gets. Mt.Shasta… it is the tallest mountain in this area. 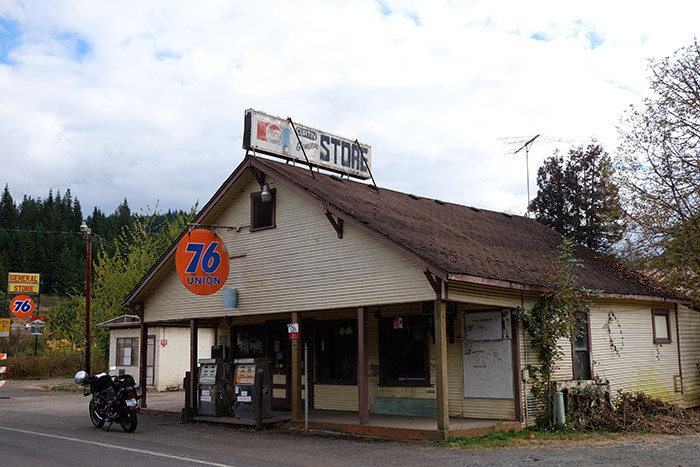 This is not too far from Redding, which is the biggest city in Northern California, But I went to Red Bluff which is about 50km further south to equalize the daily mirage. 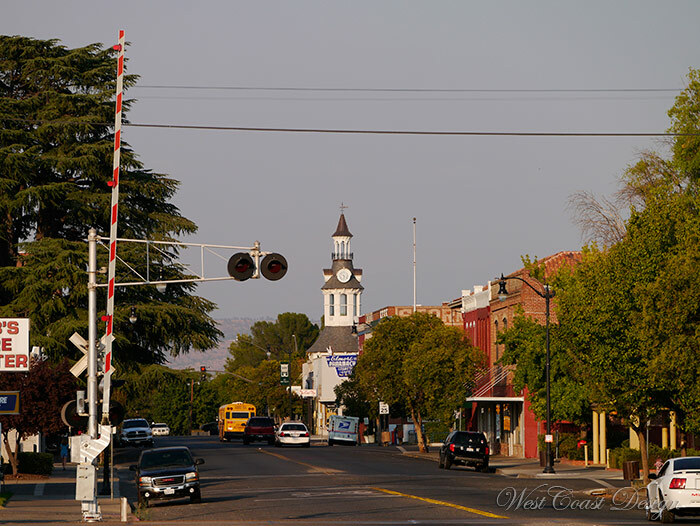 This is the main street of Red Bluff. 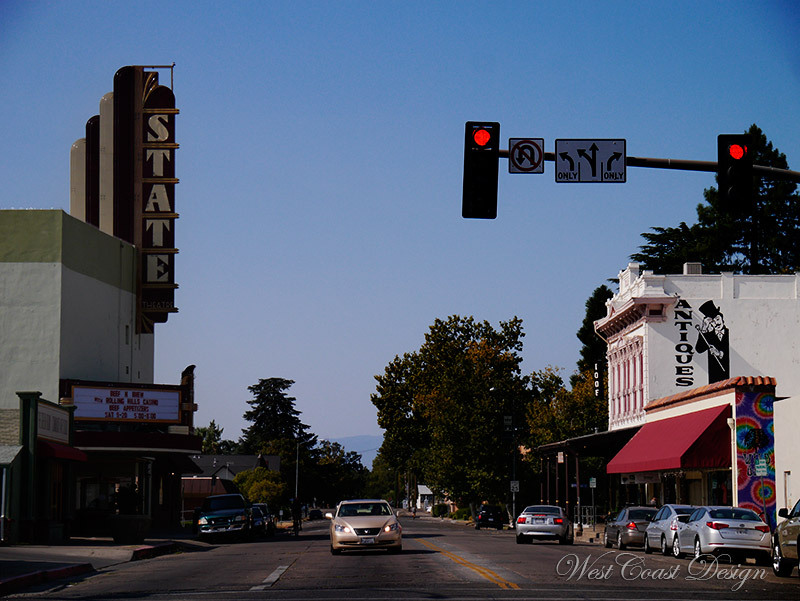 When we say California, people think of blue sky and tropical ocean… but not here… or I would say most part of California is something like this little town. But, I quite liked this place. It was just hot…partly because this town is located in a valley. It was the hottest town I visited in this trip and I had to take off my riding jacket. When I got town, it was still 5:30PM, but there was nothing open in downtown. There were 2 bars open in downtown and I went to one of them, ordered a local beer and talked to local people for a while. accommodation was a motel again. Today, even dorm bed in HI hostel costs $40/night. If you think that way, $45/night for motel is quite reasonable. Only thing is… there is no communication with other tourists. 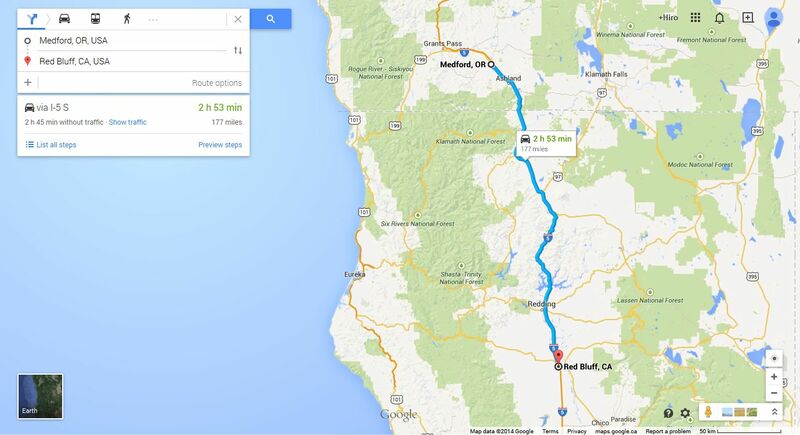 To go to California from Vancouver, taking Interstates 5 is the easiest way. Seattle and Portland were a bit rainy… as usual, so I had to harry as much as I could. But after I left Portland, the weather got a bit better. 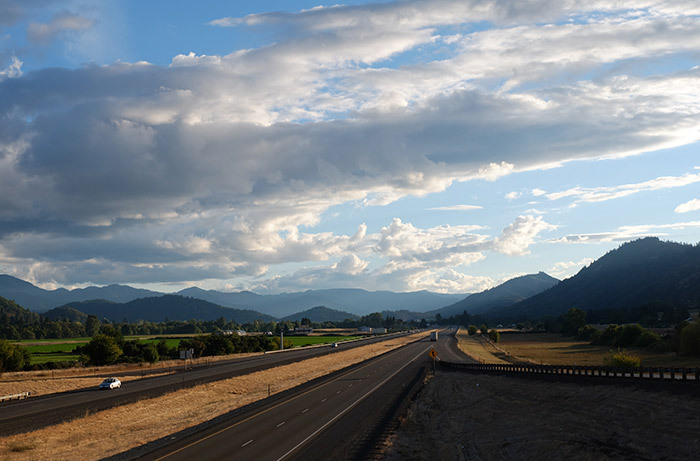 When we say “Oregon”, we think mountains or beautiful coast line… but absolutely there is nothing around I5. It is just straight freeway. I guess they just tried to be as straight as possible. On that kind of road, it is very hard to keep me awake… Sometimes, I had to take a brake every 50km. All you see is the flat land and road surface. Sometimes I had to pull off at any closest exit which had nothing. But if you see the southern part of Oregon, you can see it is quite hilly and windy. This is the view right before I got into the hilly windy area. By the time it was getting dark and the total distance was over 500km in this day. It was one of the hardest day in this trip. 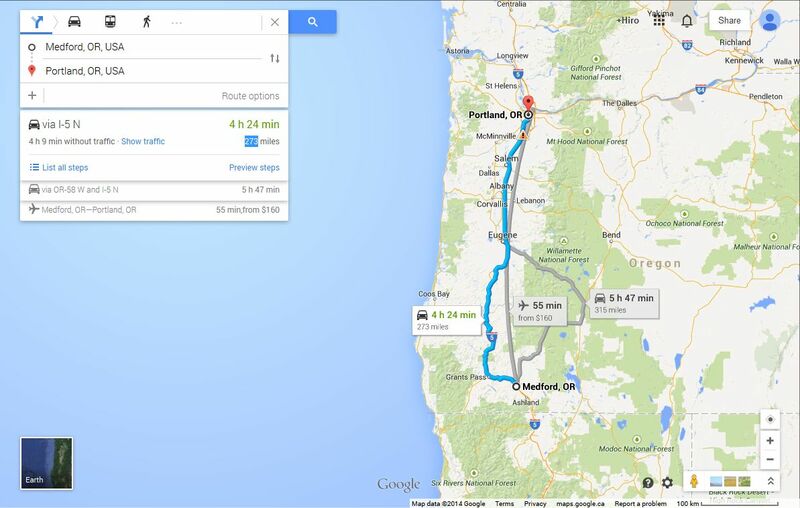 But, Medford Oregon was much warmer and drier… it was more likely to be California. It was the first time to stay in Motel in the United States. When we travel in North America, it is very hard to find reasonable accomodation like backpacker hostel. But here, I found Motel for $45/night which is quite reasonable. 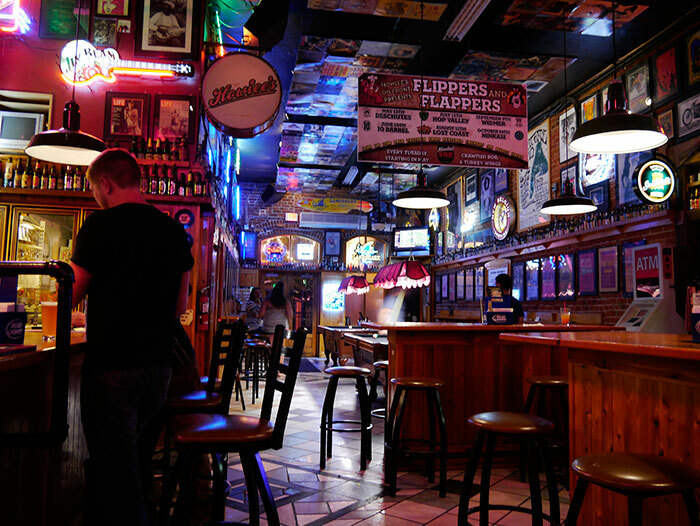 When I got to Medford, it was already dark and all I could do was have some dinner and have some local beer at a local bar. I traveled to New York City. It has been 8 years since last visit in 2005.
planning to replace with ugly Nissan NV200. Nissan take over and destroy the landscape. Past 20 years, this area was cleaned up and now it is 100% tourist spot. It is surprising people are sitting in the middle of this place. 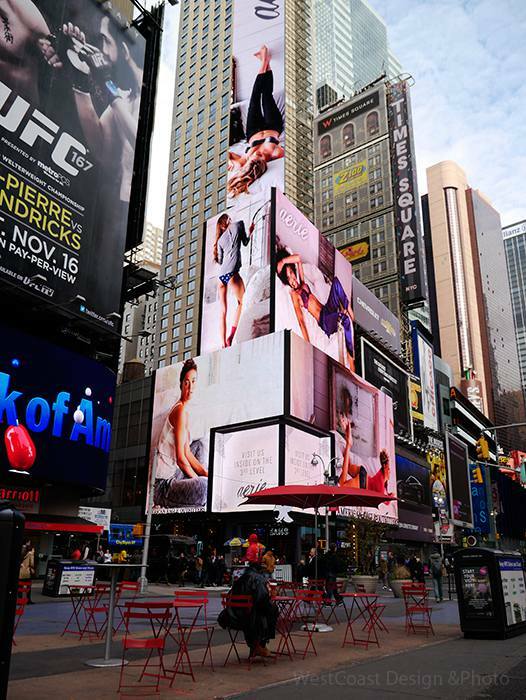 Billboards are now all digital and those dynamic images has changed the view dramatically. 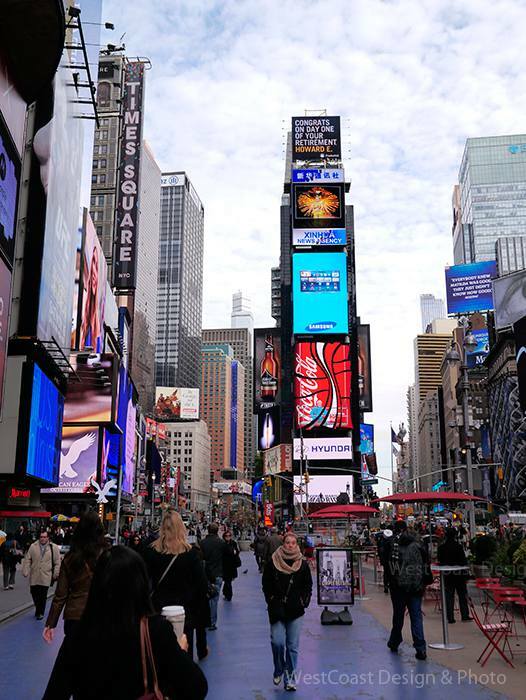 It just looks busier…. 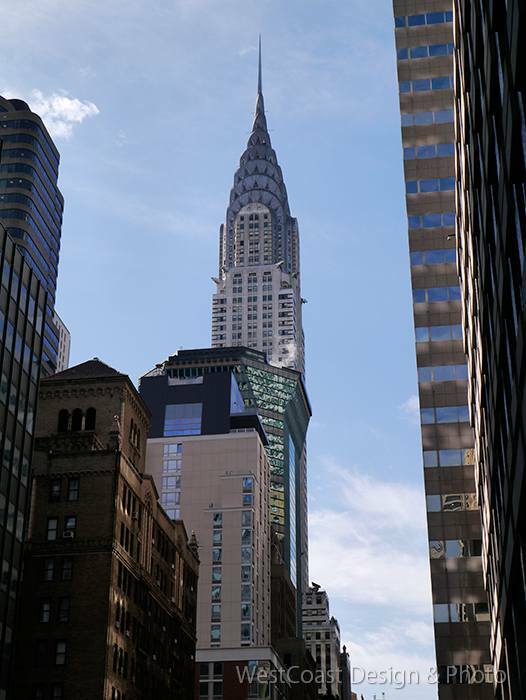 Chrysler building… it is one of the most beautiful building in New York. 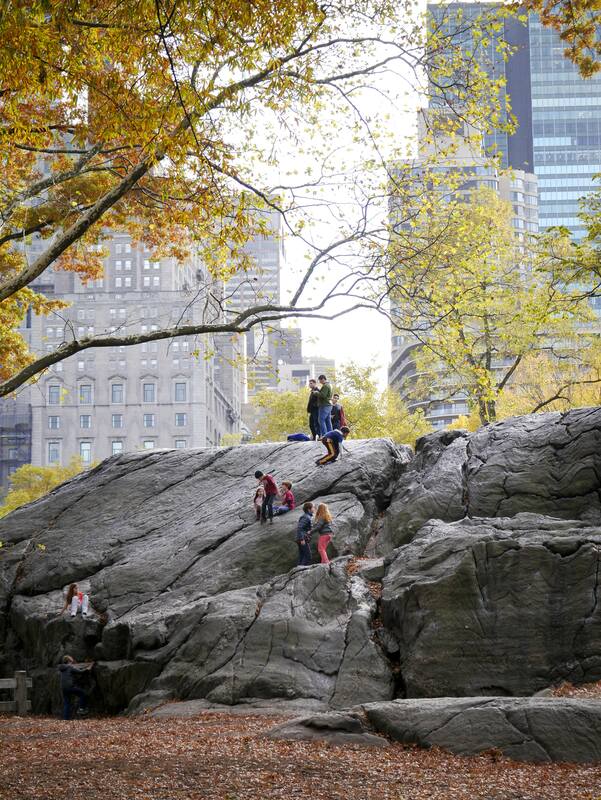 Autumn day in New York is very short. Also due to the cloudy sky, it is alreadygetting dark even before 3:00PM. Autumn in East Coast is more beautiful than what we have on West Coast. 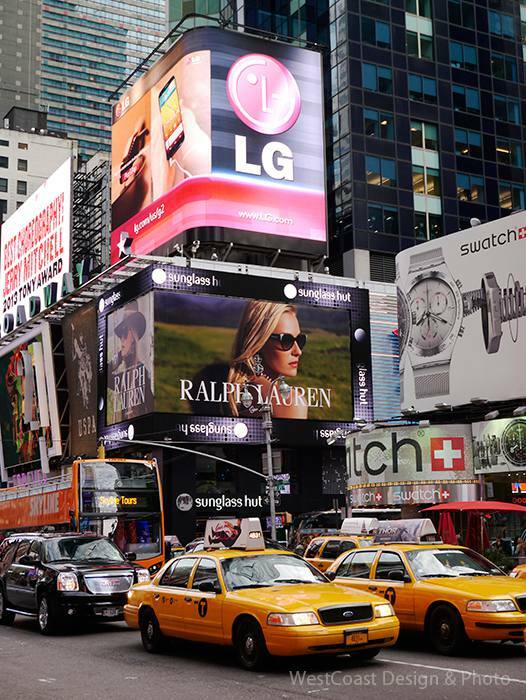 This is my favorite time in New York before the cold winter arrive. It as slightly colder than Vancouver due to the wind caused by tall buildings. Wreck beach is located in Vancouver, BC and known as a largest Clothing-optional beach in Canada. Now the summer is ending and we are started having more cloud in the sky. 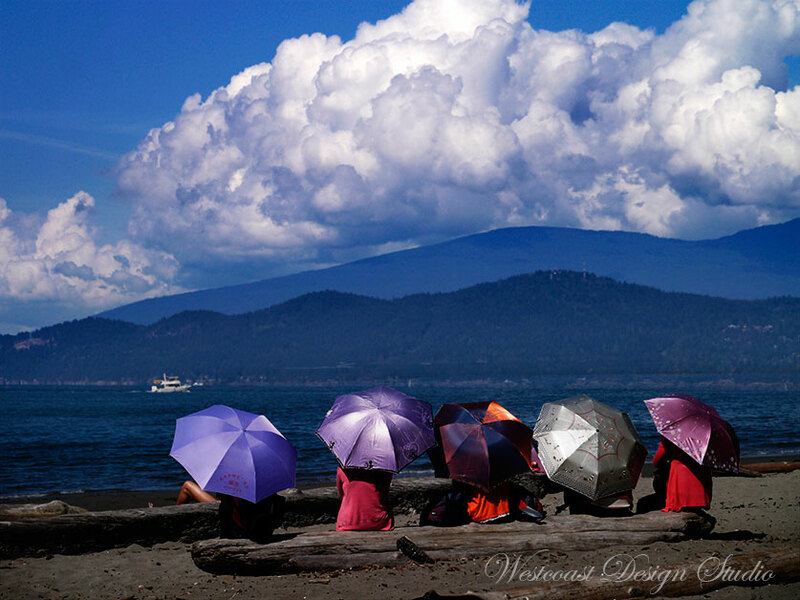 The contrast between dynamic cloud, beautiful beach and mountains at the back and those ladies with parasol were quite interesting. 12:11PM…the beach was still nice and quiet…. 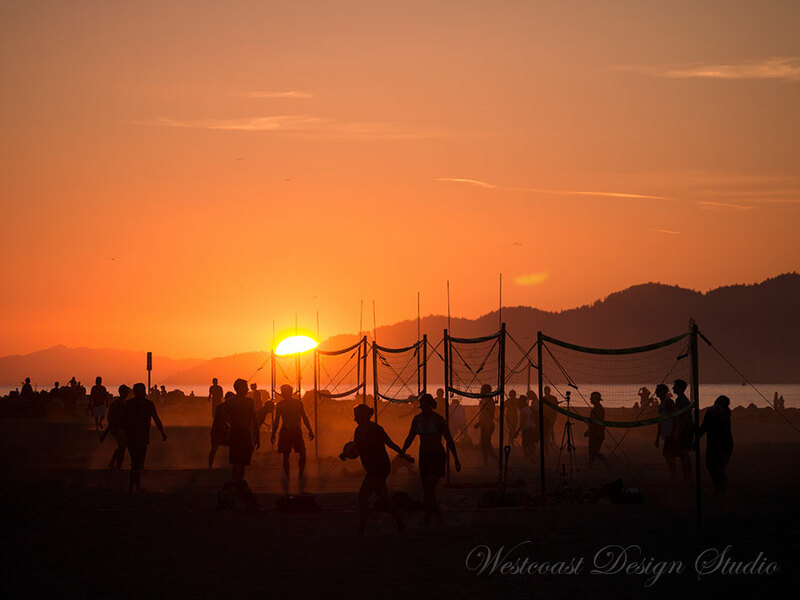 In Spanish bank beach….or all the beach around Kitsilano area, beach volleyball is a quite popular sports. I was taking view of Downtown Vancouver, then when I turned around, there was a dramatic view in front of me. This is the best shot of the day ! This is the view of the Downtown Vancouver right before the sunset today. Spanish Bank beach is further west of Kitsilano beach. 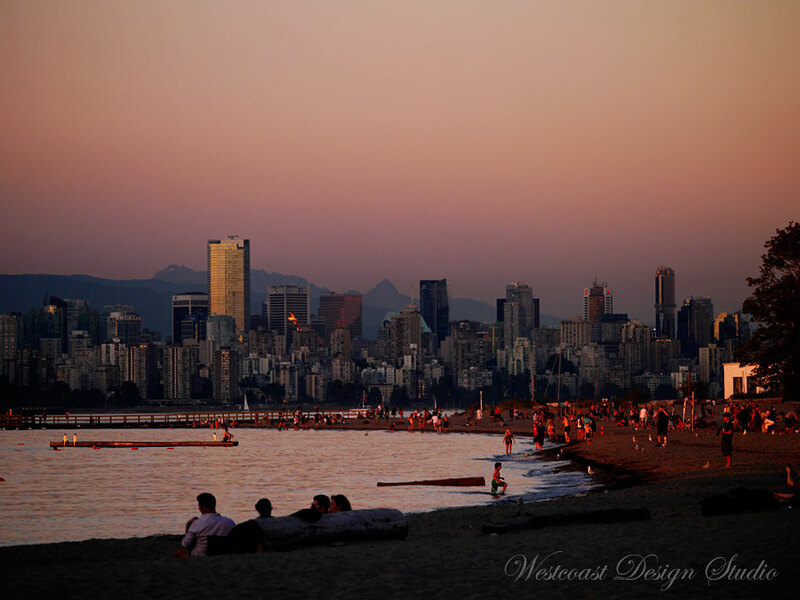 This is one of the best sunset view in Vancouver, BC, Canada. 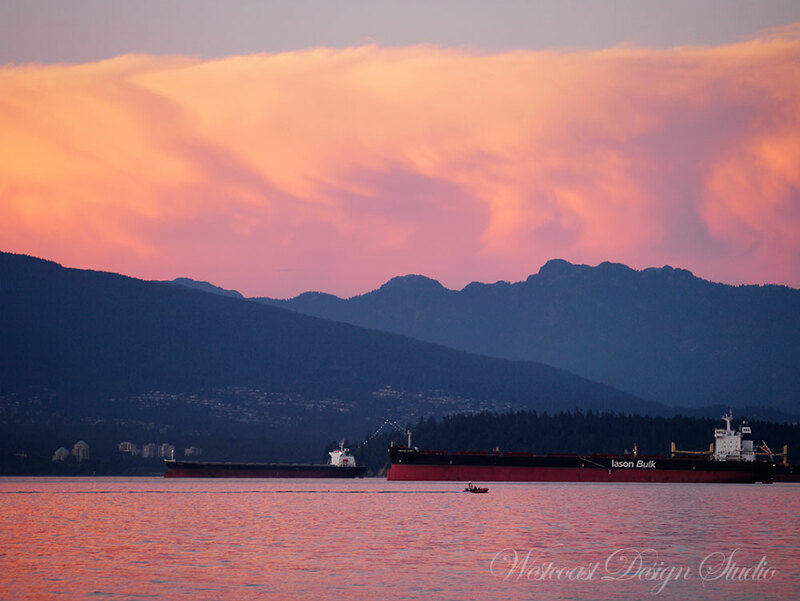 From this angle, you see Stanley Park and dynamic mountains in North Vancouver. 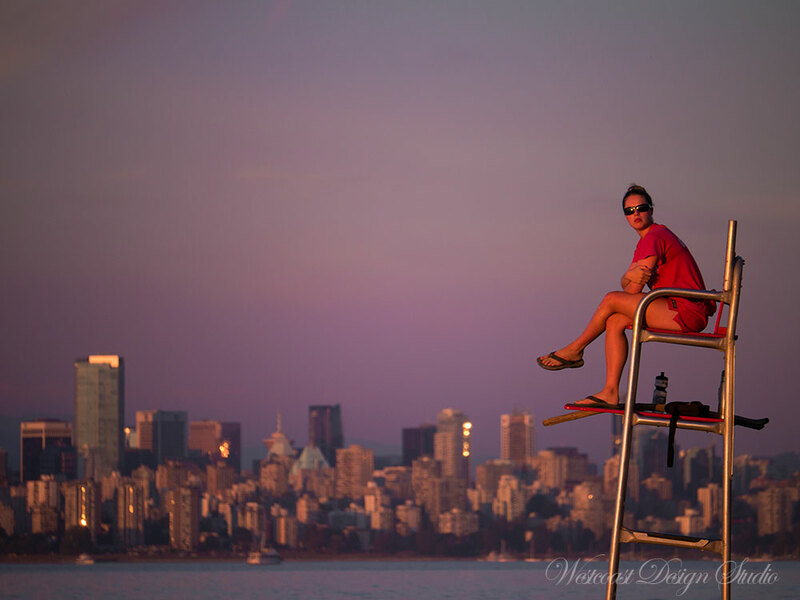 When you see right hand side….there is breath taking skyline of Downtown Vancouver. 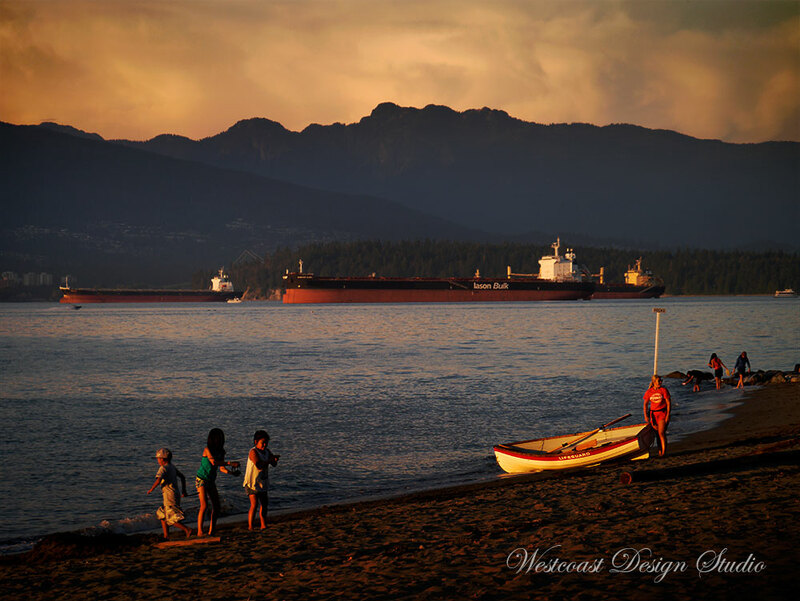 Of course…the big ships are also a part of landscape in Vancouver…..